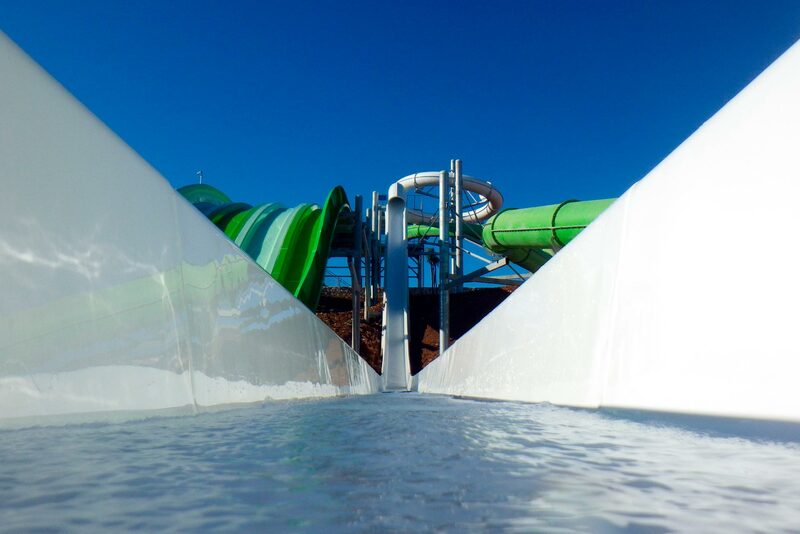 Guaranteed fun in our water park! 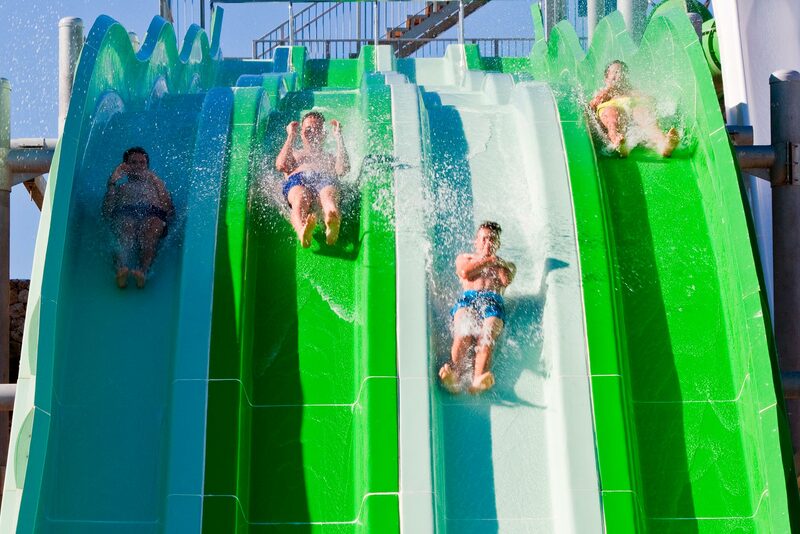 Thought for the whole family! 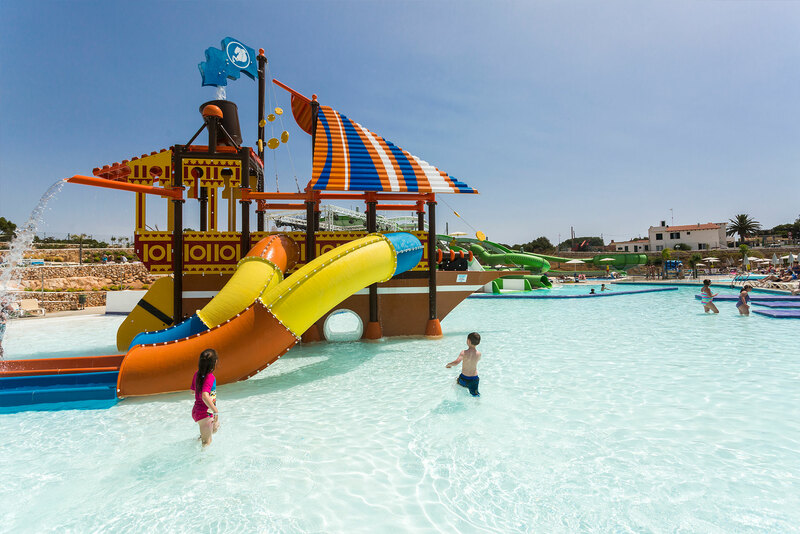 The largest water park in Menorca! 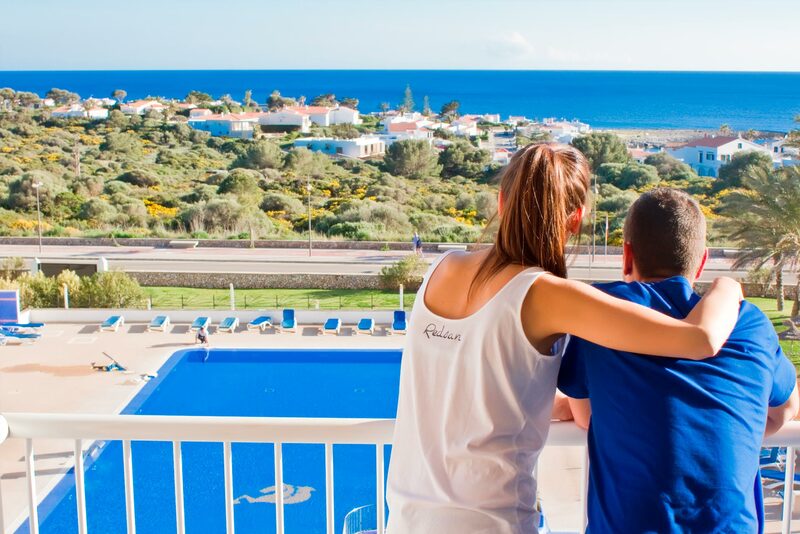 Welcome to the Hotel Sur Menorca, the best choice to enjoy the best family holiday. 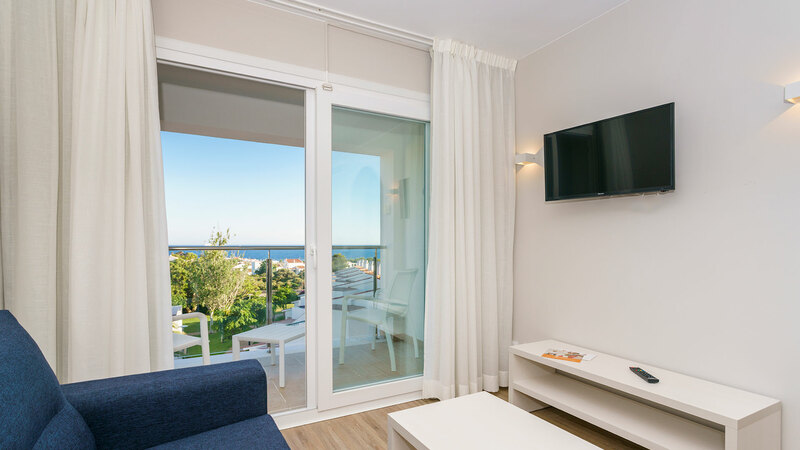 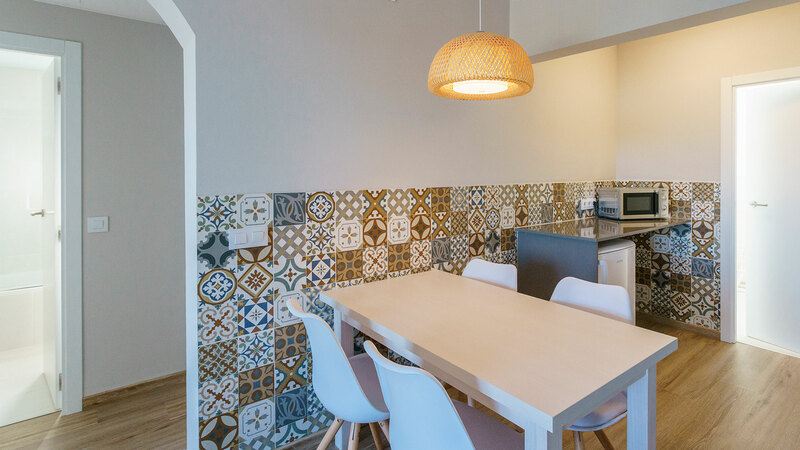 Our resort, as its name suggests, is located in a wonderful area in the south of the island, a few meters from the Cala de Pescadores in Biniancolla and just a walk (1,5 km approximately) to the beach of Punta Prima. 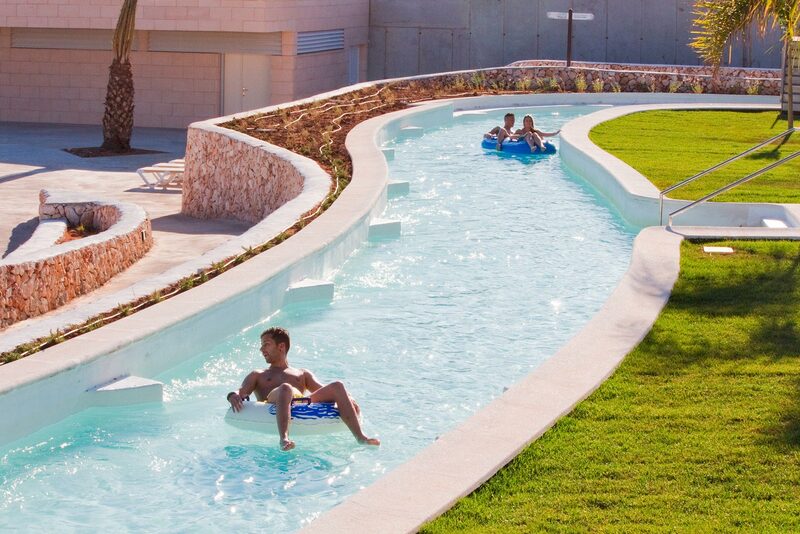 ¡This is a perfect way to spend the best days of the year! 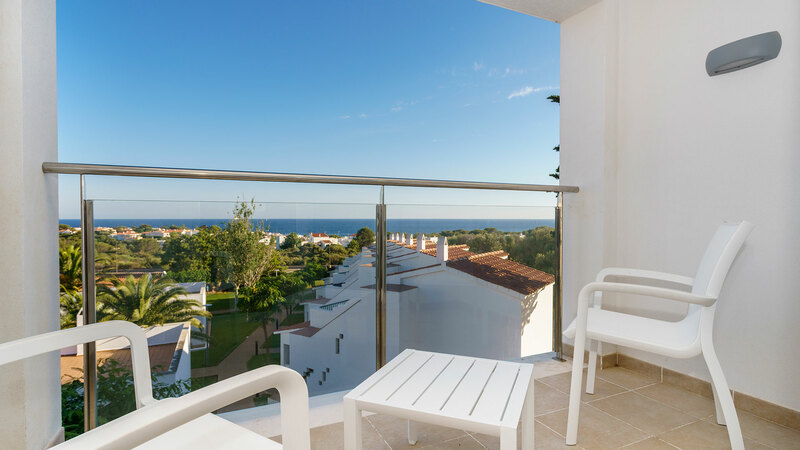 Our extensive gardens and terraces, situated in a privileged area, invite you to rest and relax. 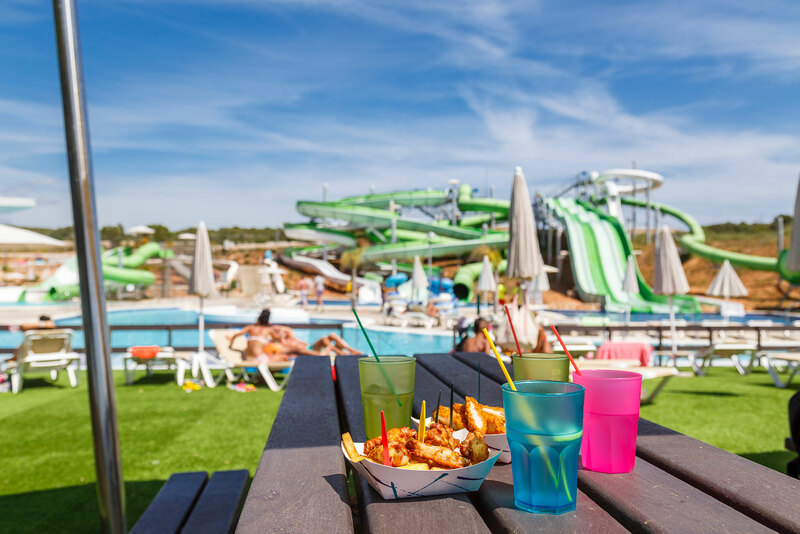 Our guests can lie or enjoy the sun or refresh in the swimming pool while the children enjoy the family pool. 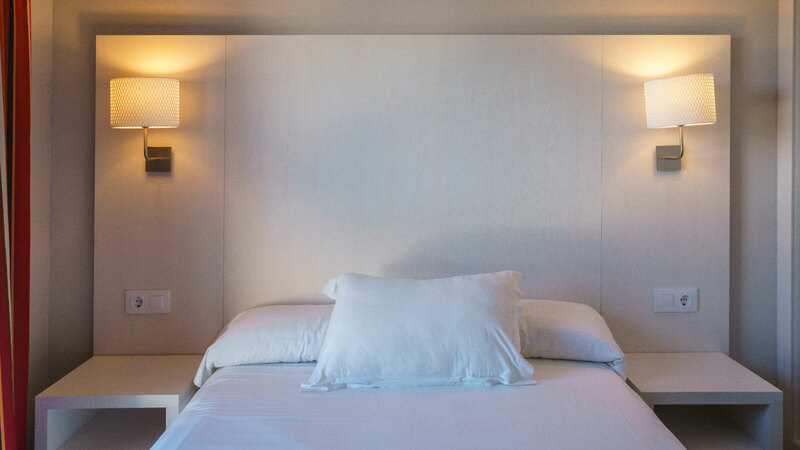 Hotel Sur Menorca works for you so that you enjoy your holiday leaving you with lasting memories. 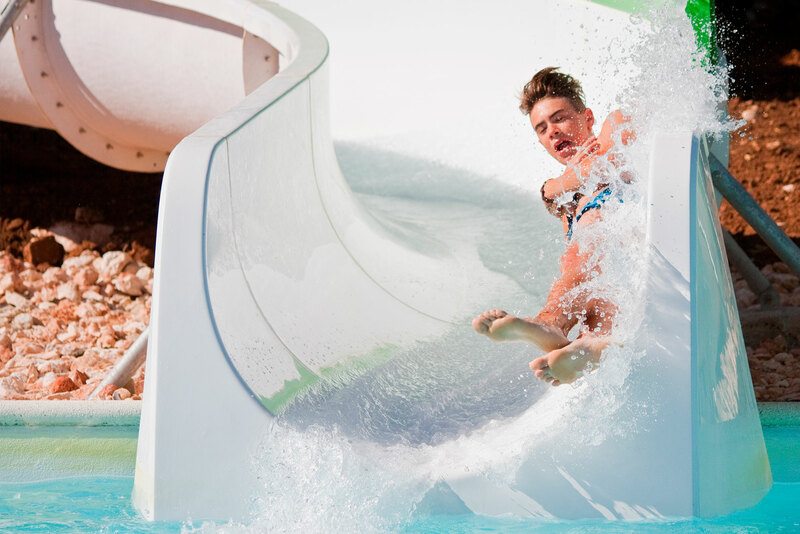 SPLASH Sur Menorca is the best water park on the island! 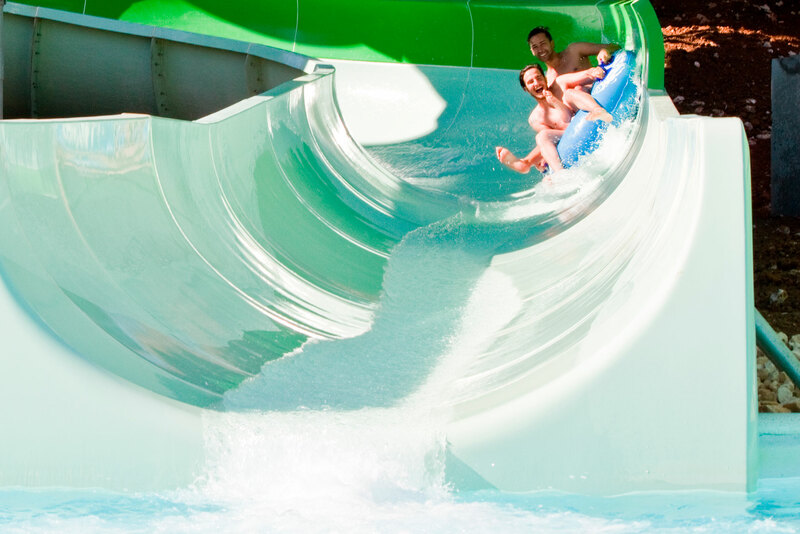 The perfect place to enjoy the most fun and exciting water attractions to enjoy with your partner, family or friends. 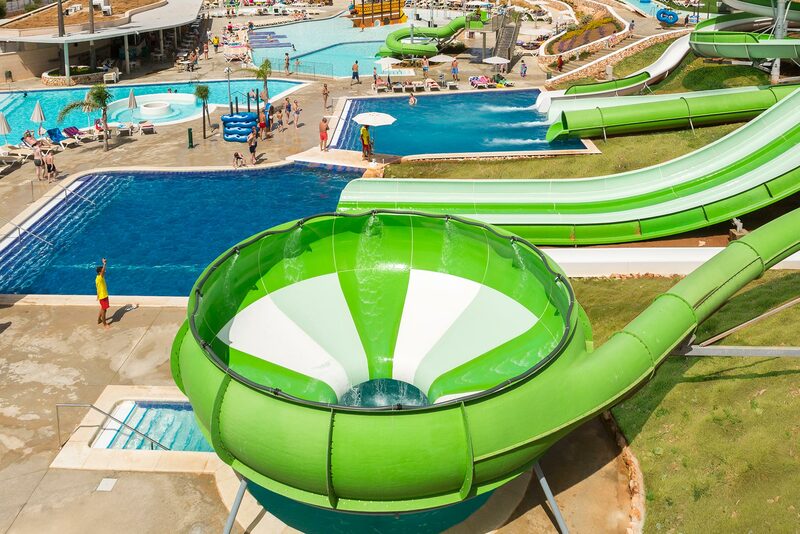 Amusements like the Kamikaze, the pot, the multitrack for the most daring or the slow river, the pool with jacuzzi and water loungers to take a break. 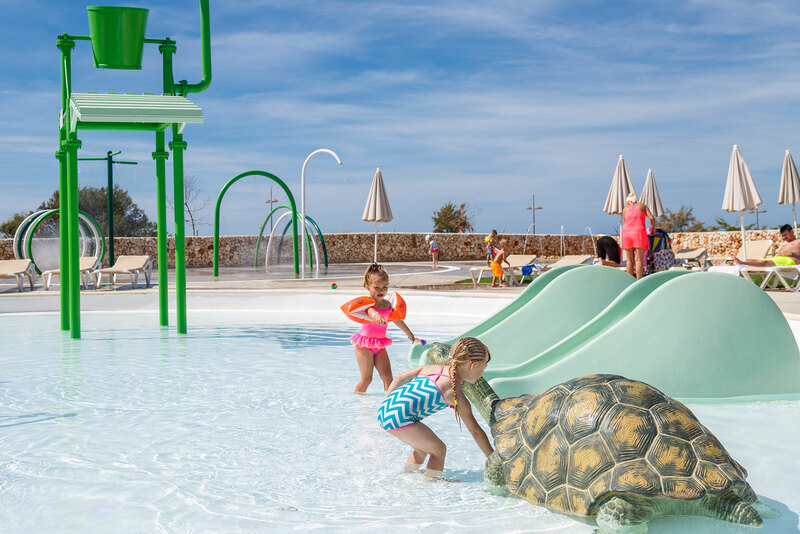 For children we also offer hours and hours of fun and splash on the pirate ship, the pool with turtles-tobogan and the area of jets. 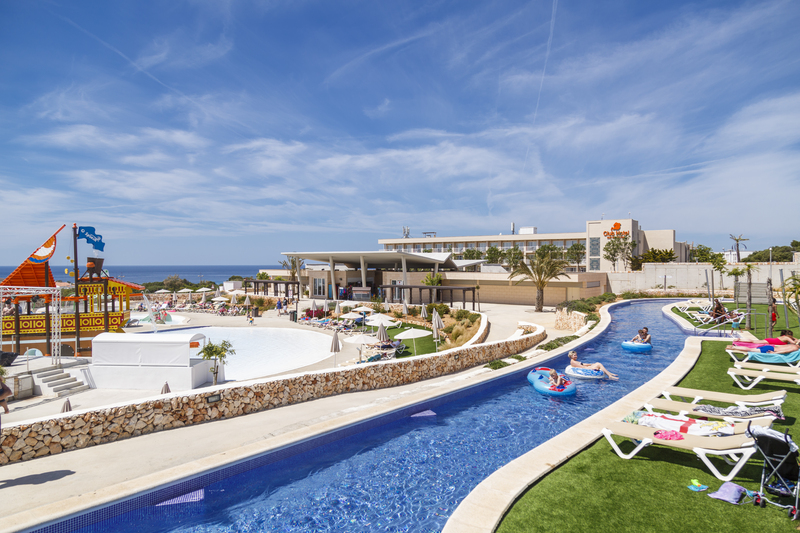 The Sur Menorca hotel has rooms adapted to each type of family, from Standard rooms with occupancy for up to 4 people located in the main building and overlooking the Mediterranean Sea or the luxurious Premium Suites, located in the hotel gardens and featuring 2 separate bedrooms and living room.